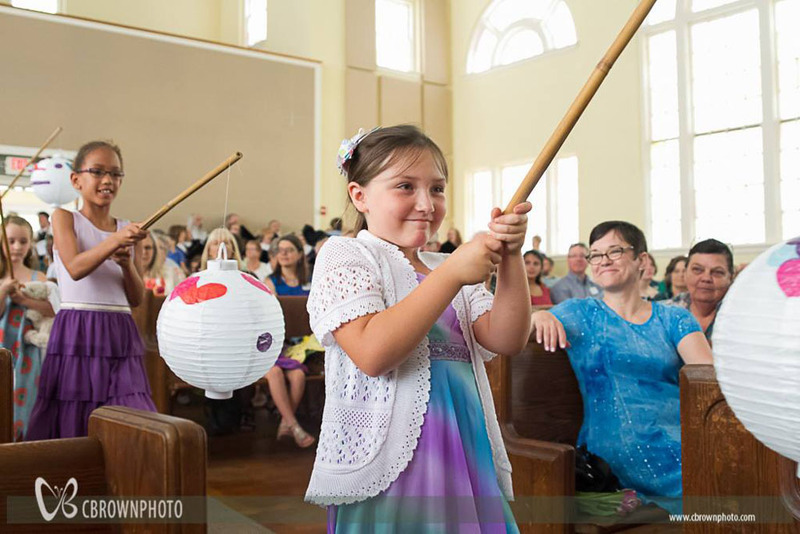 Children gather each Sunday for Children’s Choir at 9:15 a.m. and age-appropriate Church School classes at 9:45 a.m.
During the worship service, we always offer a specific “Time with the Children.” This is a message geared specially for children. They are invited to join the speaker in the front of the sanctuary; they may also bring an offering at this time if they choose to do so. We offer childcare during worship and other church events for children birth-through 5 years of age. Children are always welcome in worship and we keep a variety of engaging items like crayons, coloring books, books, and others behind the organ in the sanctuary. Worship Education – A special, monthly time of learning for children in grades 1-5. 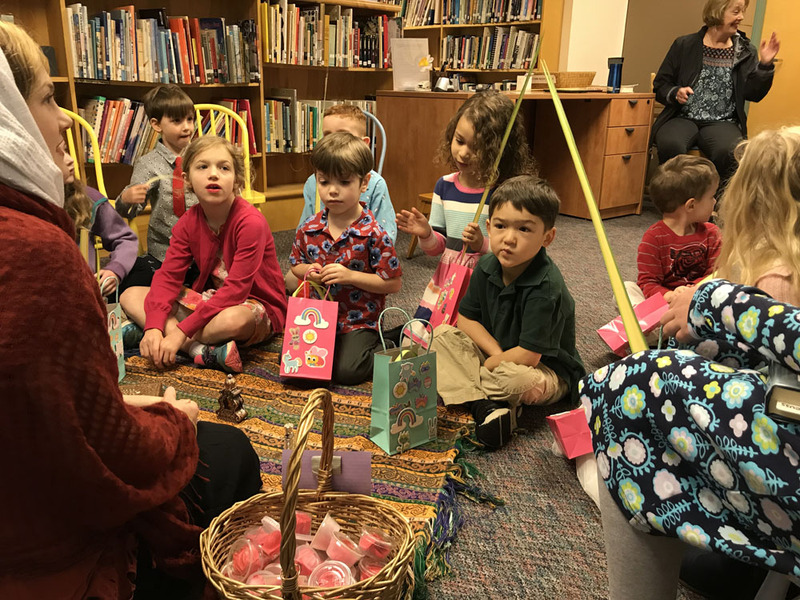 Once a month during worship, children participate in a special class that teaches them about the seasons of the church year as well as the various elements of worship. 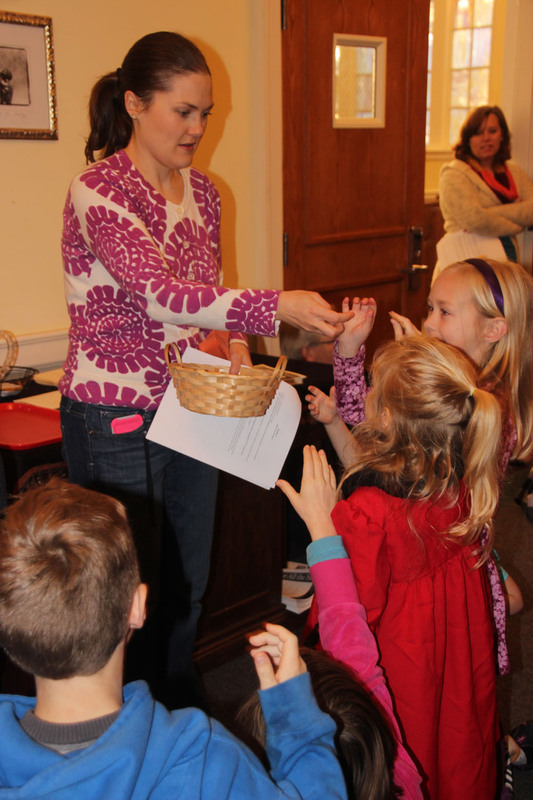 Children participate in activities that teach about Advent, Christmas, Epiphany, Lent, Easter, and Pentecost. They write Calls to Worship and prayers for worship and learn how to take up the offering. Advent Festival – Children make special advent crafts, eat snacks, sing songs, and hear the Christmas story in preparation for the season. Passion Pilgrimage – Children follow various characters Jesus met on his journey before and after Easter. They talk to a scribe, a Temple guard, Joseph of Arimathea, a garden keeper, Mary who saw the empty tomb, and many others. Easter Egg Hunt – Family and friends are invited to a three-tier Egg Hunt in a nearby backyard. Children eat and play together. Summer Camp – Children who have completed grades 3-5 go out of town for 4 days to attend PassportKids camp. They have learn, worship, and play together with children from all over the southeast.